Birds avoid BIRD-PROOF like humans avoid wet tar ! 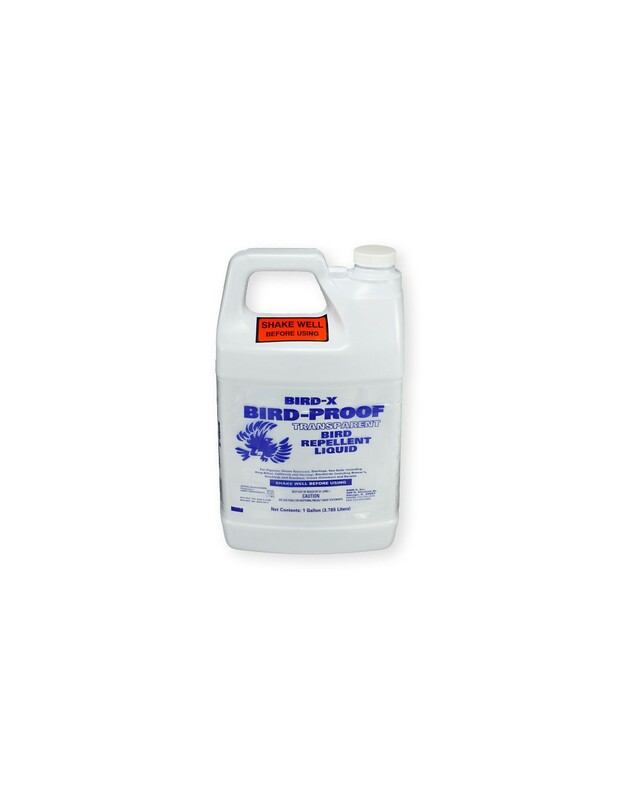 BIRD PROOF is a non-toxic, viscous, sticky liquid chemical that makes a surface tacky and uncomfortable to birds. Although it is non-toxic and non-lethal, its "feel" is extremely irritating to roosting birds. Protect your property from the annoyance, mess, and constant clean-up that pest birds cause. It's the easiest way to bird-proof open or recessed areas and hide-away corners. * Its "feel" is extremely irritating to roosting birds ! * Decrease nuisance for residents, workers, customers, etc. * Use a discharge pressure of 40 psi. * One gallon covers up to 120 square feet or an average tree with a 5" diameter trunk. CLEAN UP YOUR PROPERTY WITH BIRD-X BIRD PROOF! Purchase Case of 4 and Save $10.00 ! 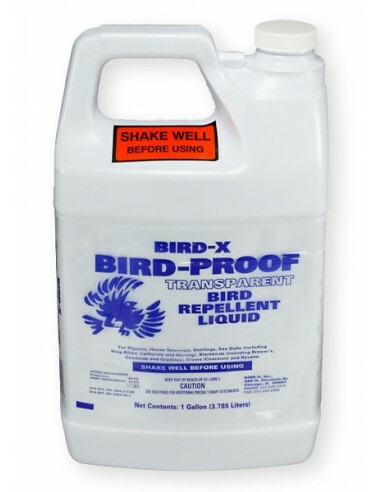 BIRD-PROOF Liquid Spray Repellent Manufacturer: Bird-X, Inc.
NOT FOR SALE IN ANY OTHER STATE!!!!! !